How to Monetize Your Blog like a PRO? 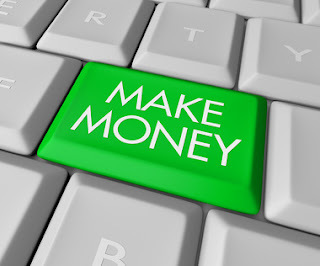 Everybody wants to monetize his blog and earn handsome amount of money from his/her blog. This is not possible for everyone. You can see many bloggers like Darren Rowse, Zac Johnson and many more are creating six-figure incomes from their blogs and living a great life. Is it possible for YOU too? ...and the answer is, YES. If you monetize your blog in the right way, then you can also make money like them and live a great life. Before continuing to reading this, you should read the recent article to generate traffic to your blog too. I'm going to share the tested and working ways to get most out of your blogs and earn more money. I've made money with all of these ideas and today I want to share them with you. These are not bs strategies but 100% working if you put your efforts into it. Advertising is the most used and working way to get money from your blog. If you blog gets a good traffic and has a good PR, then you must try selling advertisement space on your blog. I've tried this technique on my blog and made over 200-300$ within 2 months with using this. Try to contact small businesses to advertise on your blog. Tell them the benefits to advertise on your blog and give them your traffic details. If they think that they will get some customers from you then they will surely advertise on your blog. The bonus tip is that-keep your prices reliable. If your blog has daily 100 visits and you tell 100$ for and advertising space then no one is going to advertise on your blog. So keep your prices low to attract more advertisers. Affiliate marketing is the main income stream of most of the bloggers. Affiliate marketing simply means promoting others' products and getting a huge commission if you get a sale. Sometimes you get more share than the vendor gets for a sale. Means you get 70% and the creator gets only 30%. Isn't this unfair, but this is affiliate marketing. You have to choose a good product to promote. Then create a landing page to capture emails of your visitors. Then send a 7 days epic course to them to build trust and finally promote product to them. I'm sure they will buy it and you will get great commissions. Bonus tip is that - try to build as more as trust you can build with your reader. The more trust = the more sales. Almost every webmaster and blogger is aware of this program called Google Adsense. It pays you money if you bring a visitor to the targeted website. This is called a Pay per Click advertising program. You can get a lot of money with googleadsense if you traffic comes from US/UK. Once you got approved on adsense, then money will start coming in your account. I hope you liked these three ways to monetize your blog and that's how the professionals also monetize their blogs. The key of our succes you posted, i appreciate your way of teaching to us.